I've done a review on Thirsties' Natural All-In-One (NAIO), but I also am now the owner of the all-in-one (AIO), so I wanted to share/compare the two. I received this exclusive diaper print from Lil' Tulips to photograph for their release/website listing. Not an affiliate, but this print is still available in some styles here! This post contains affiliate links. This means if you click through and make a purchase, I receive a commission for my referral, at no extra cost to you. I appreciate the support SO much! It allows me to continue to run this site and bring you new content. 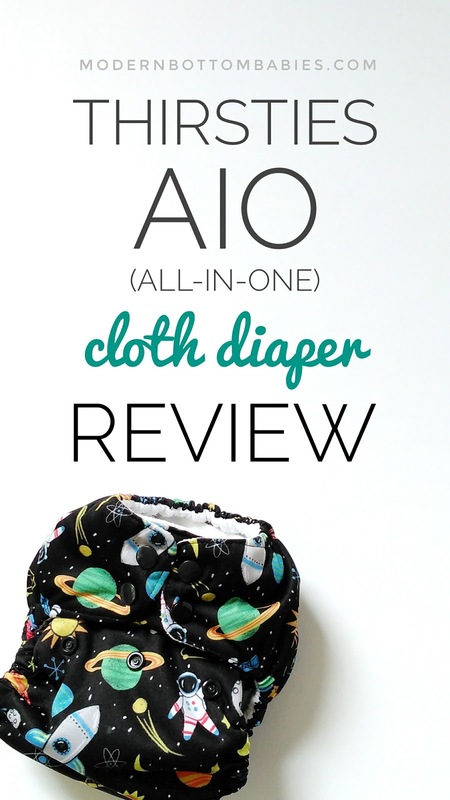 The AIO inner, unlike the NAIO, is made with microfiber terry, lined with microfleece (to keep baby feeling dry). It has a single tongue instead of the two in the NAIO. It is available in both a snap and hook and loop closure option. The one-size fits from approximately 8-40 pounds. It is basically the same, trim fit as the NAIO. The benefit of the AIO over the NAIO comes down to price and dry time. The AIO rings in at $20, versus the higher price point of the NAIO at $25. It also dries quickly, like microfiber does, which was my one complaint about the NAIO. Though the microfiber is more prone to stink issues down the road, it will hold up better over time than the NAIO. The stay-dry liner is a bonus for babies with wetness sensitivity. 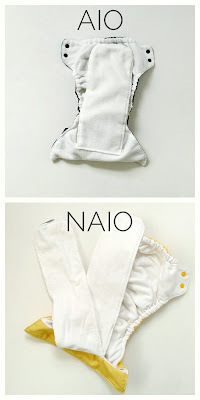 The NAIO takes the cake for absorbency. 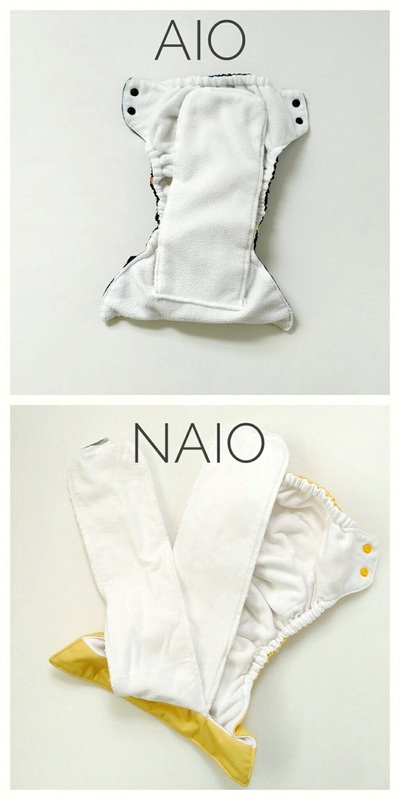 The NAIO will get my kids through naptime and beyond, while the AIO will be soaked in two hours (or often less). Natural fibers also wash more easily, and work for babies who are sensitive to synthetics. If I was going to recommend one over the other, it would be the NAIO. 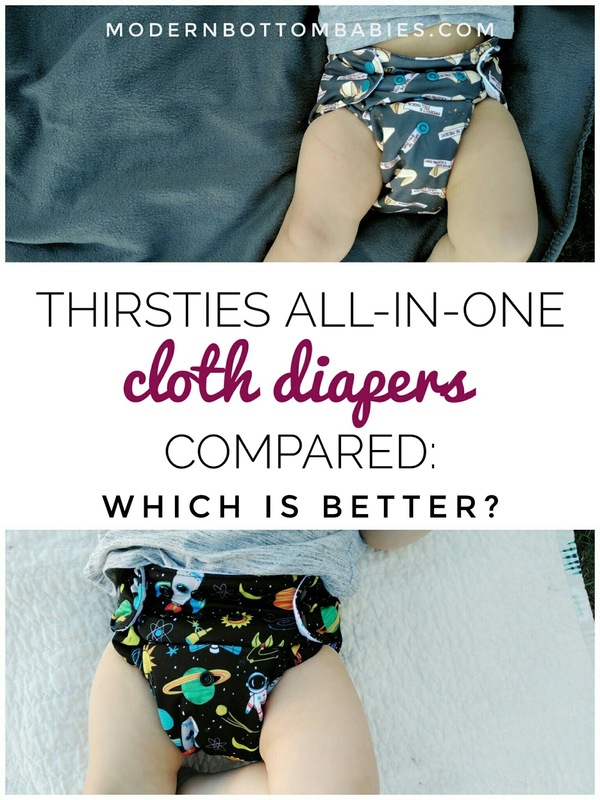 I am biased toward natural fibers in general, but when it comes to these two diapers, the extra absorbency of the NAIO is worth the price difference. 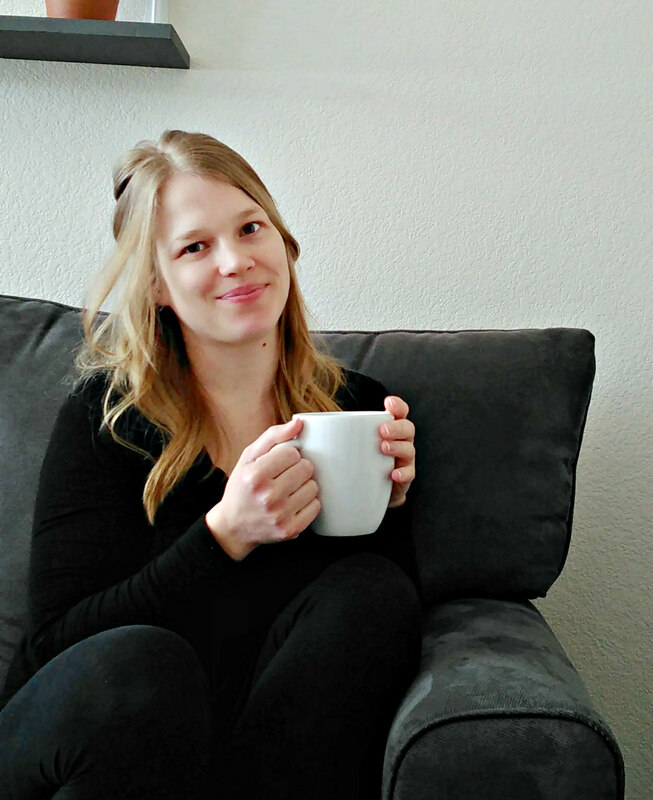 Have you tried both of Thirsties all in one diapers? 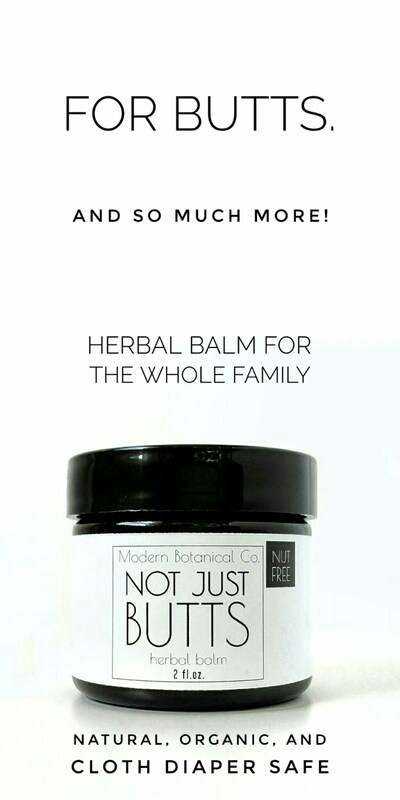 See all my reviews here!